Pandit Sanjeev Abhyankar, the Maestro from the Mewati Gharana, is an artist of international acclaim in the field of Hindustani Classical Music. From the tender age of eight his mother Dr. Smt.Shobha Abhyankar, Pandit Pimpalkhare ji of the Gwalior Gharana and Padmavibhushan Pandit Jasraj ji of the Mewati Gharana have groomed him. He has spread the fragrance of Indian Classical music in U.S.A., Canada, Australia, Europe, Africa and the Middle East. Rewa started learning music at the age of twelve, from late Shri. Dattopant Agashebua of Gwalior Gharana. She was inspired and initiated into Hindustani classical singing by her father Pandit Vinayak Phatak, himself a renowned tabla artist. Apart from khyaal singing, Rewa also presents allied forms such as tarana, thumris and also semi classical forms such as Natyageets and bhajans. Son and disciple of Ustad Imrat Khan maestro Ut. Nishat Khan stands at the threshold of the future of sitar and Indian music with his uniquely invigorating, contemporary approach. Historic & well appreciated by Audiences both at Home & Internationally. Pt. Anindo Chatterjee is recognized as one of India’s most eminent tabla players. 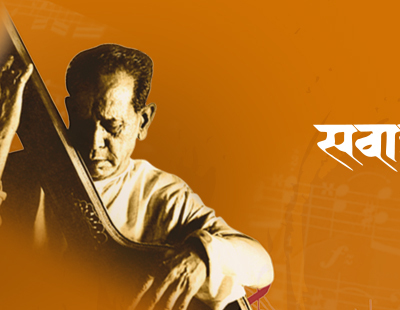 He was inspired to take up tabla by his uncle, the sitar player Pandit Biswanath Chatterjee, when he was just four years old and later became a disciple of Padmabhushan Gyan Prakash Ghosh . Panditji has a seemingly endless list of achievements: In 1990 he became the first tabla player to perform in the House of Commons; The All India Critics Association adjudged him as the ‘Best Performer of the Year 1997’ and bagged a ‘gold medal’ in the All India Radio Music Competition, and so on. Ashwini Bhide Deshpande, a vocalist of Jaipur-Atrauli Khayal Gayaki tradition, is a veteran worthy of wearing the mantle of the old masters. She was under the tutelage of Late Pt. Narayanrao Datar and her mother, mentor and Guru, Smt. Manik Bhide. Ashwini is equally at ease with lighter varieties like Thumri-Dadra and Bhajans and Abhangs. A doctorate of Bhabha Atomic Research Centre, her books of self-composed bandishes are widely acclaimed.